Shivani Sutaria (Sutaria Law Offices) and Lisa Chapman (Royse Law Firm). On November 4, 2017, the L&E Section hosted “What You Should Know About Workplace Investigations,” featuring speaker Brittny Bottorff. The presentation explored the issues of scope, ethics, attorney-client privilege and the distinct roles played by investigators, in-house attorneys, outside counsel and plaintiffs’ attorneys when conducting, directing, advising and/or representing parties in workplace investigations. Speaker: Brittny Bottorff is an attorney at the Maier Law Group. She has conducted numerous workplace investigations throughout the Bay Area for companies large and small in various industries, including healthcare, hi-tech, and hospitality. Brittny is a member of the Association of Workplace Investigators. Brittny also provides advice and counsel to clients on employment and privacy issues, performs litigation services, and presents employee trainings on workplace harassment, diversity, and privacy issues. 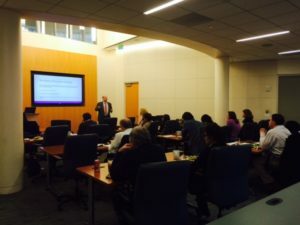 Thanks to Wilson Sonsini Goodrich & Rosati for hosting! 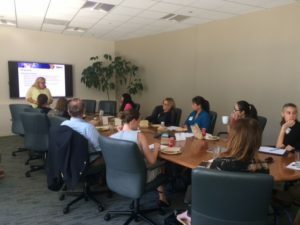 On June 21, 2017, the L&E Section and PAABA’s Tax Salon co-hosted “Tax Issues In Employment Law.” Speaker Mindy Mayo is a Director and Human Capital Taxation practice leader at the San Jose location of Ryan, a national corporate tax services provider. Ms. Mayo’s expertise is in payroll auditing, and she led us efficiently through tax traps and best practices in employment contracts, settlement agreements, and severance agreements. Read the debrief or contact speaker Mindy Mayo. 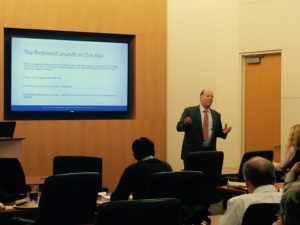 On January 18, 2017, the L&E Section hosted its inaugural event, “Even CEOs Get Fired: Protecting Executives, Entrepreneurs & Employees in California.” The presentation, delivered by Jotham S. Stein, addressed key documents in the employment lifecycle (from offer letter to severance package) and important terms and conditions attorneys should be aware of in each one. The event was hosted by Wilson Sonsini Goodrich & Rosati. Join the Labor & Employment Section! Joining the Labor & Employment Section will give you advance notice of labor and employment-related MCLE and other events hosted by the Section, give you access to the most up-to-date employment law discussions, and help develop your referral network. Your information is never sold or used outside of the Palo Alto Area Bar Association. You can unsubscribe at any time. Example: Yes, I would like to receive emails from The Palo Alto Area Bar Association's Labor & Employment Section.